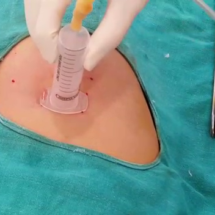 Suction blister grafting (SBG) is a procedure wherein epidermis is harvested from the donor site ie the thigh in the form of suction blister and then transferred to the dermabraded vitiliginous area(White Patches). The graft acquires the characteristics of the recipient site, thus leading to a better color and texture matching and overall excellent cosmetic result. 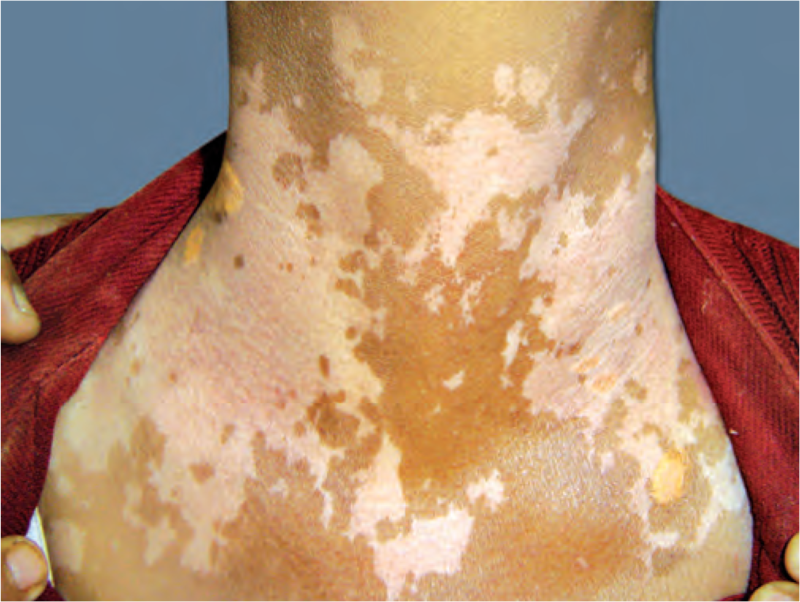 However the acral areas, vitiligo patches with leukotrichia, i.e. areas having an absence of functional melanocytes will not respond to medical treatments and for such patients with stable disease, grafting is the only option. 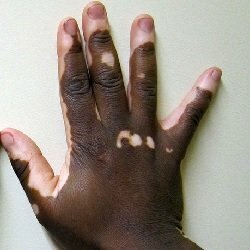 It is imperative that the disease is stable for a period of minimum one year before any Vitiligo Treatment is attempted. Suction blister grafting (SBG) is a procedure wherein epidermis is harvested from the donor site in the form of suction blister and then transferred to the dermabraded vitiliginous area. In split skin thickness grafting and punch grafting, no matter how skilled the surgeon is, in most cases there will be a dermal component in the harvested skin, hence the graft retains some donor site characteristics thus resulting in textural and color mismatch. In suction blister grafting, the negative suction applied on the skin leads to a cleavage between the basal cells and the basal lamina of the basement membrane zone and the blisters thus raised contains only the epidermis. The graft acquires the characteristics of the recipient site, thus leading to a better color and texture matching and overall better cosmetic result. The donor site can be the flexor aspect of the arm, forearm, abdomen, and the anterolateral aspect of the thigh or leg. It is ideal to take from the thigh as there can be pigmentary changes which can take time to settle. All patients are given a single dose of antibiotic (cephalexin), ranitidine, analgesic (brufin), and anxiolytic (diazepam) at least one hour before the grafting. 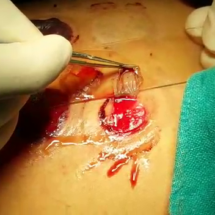 The site is shaved then surgically prepared with Betadine , spirit After surgically disinfecting the area a field block is given with a combination of 2% xylocaine, bupivacaine, and sterile water for injection (1:1:1 ratio ), Xylocaine gives immediate anesthesia and bupivacaine has a prolonged action which makes the entire procedure relatively painless. Blisters are raised using 20 ml or 10 ml syringes. Depending on the amount of area to be covered the number and size of syringes is decided. The piston of the syringe is discarded and then IV tube is used to connect the syringe to the suction machine. At 300mmHg suction clamps are applied on the IV tubing using artery forceps or sponge holders. It takes on an average 1.5 to 2.5 hours for the development of blisters. Once the blisters are formed, the roofs of the blisters are cut with an iris scissors. The roofs are inverted onto a glass slide so that the dermal side faces upwards. The graft is teased out and spread to its maximum size, any blood or dermis is gently removed and it is kept moist with normal saline. Care should be taken the grafts edges are not curled and it is handled carefully because if the graft gets curled up we cannot make out the sides i.e. epidermis and dermis cannot be differentiated since the graft is so thin and transparent The donor site is cleaned and dressed with paraffin dressings, gauze, pad, micropore. All the blisters are taken on glass slides and then are cut into smaller grafts using a 23 no surgical blade. The number and size of these grafts will correspond approximately to the recipient site. Using smaller grafts helps in placing the grafts more accurately to the recipient area and prevents wastage of the graft. The vitiligo area is surgically cleaned using spirit and povidone iodine and then anesthetized using plain lignocaine 1%. The area can be dermabraded using motorized dermabrader, Erbium YAG Laser, or a CO2 laser till pinpoint bleeding spots are seen which denotes the papillary dermis level. The dermabrded area is then covered with saline soaked gauzes which helps in maintaining heamostasis and keeps the wounded bed moist. The dissected grafts are transferred to the deepithealized vitilgo site using glass slide after transferring the grafts it’s important to again spread out the grafts esp. the edges, cyanoacrylate glue can be applied along the margins of the grafts to immobilize it. After the graft has been placed it is covered with paraffin dressing, dry guaze, pad, micropore In case of blister grafting of lips stay sutures are given with 3-0 or 4-0 prolene and a tie over dressing is given. The patient is asked to lie down for 30 mins after the grafting to ensure good adherence of the graft. Patient is given a short course of antibiotic and analgesic for 5 days and advised to keep the area immobile. The dressing over the recipient and donor site is left on for 7 days. If the lip is operated patient is asked to a liquid diet with a straw, while doing the eyelids it’s a good idea to shut the eye to prevent too much movement which can displace the grafts. Dressings are removed at Day 7, it’s important that the dressings are removed carefully so as to avoid dislodging the grafted skin. After removal the guaze and pad it’s advisable to soak the paraffin dressing with normal saline so that the dried blood and scabs are loosened and dressing comes out easily. The grafts usually fall off in most cases or in some cases they are taken up. Repigmentation starts between one to 3 months post op; if the pigmentation is inadequate or there are some achromic islands, phototherapy or topical steroids can be started to hasten up the pigmentation. It is time consuming and the raising of blisters is painful. Sometimes inadequate blisters or small blisters are formed. 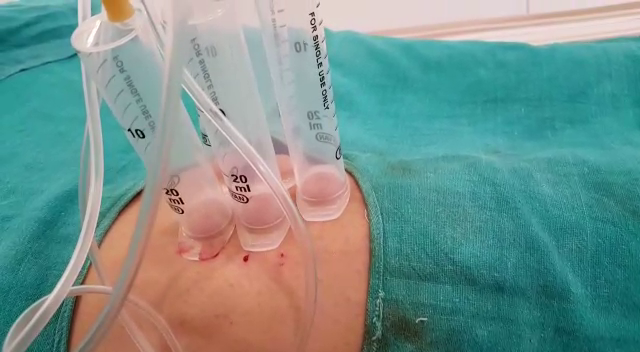 For all practical purpose only small areas can be managed with this technique Improper handling may lead graft tears or the epidermal side being grafted, thus failure to pigment. Hyper pigmentation, incomplete pigmentation, perigraft halo are few of the complications. In a systemic review13 blister grafting was compared with mini grafting,split-thickness grafting, and grafting of cultured melanocytes, in this review the highest mean success was found with split-thickness grafting(87%), & grafting of epidermal blisters(87%), and it was better than minigrafting (68%) and grafting of noncultured epidermal suspensions(31%).Minigrafting had the highest rates of adverse effects. Another study14 comparing punch grafting and blister grafting over the lip showed comparable repigmentation but reported better colour match with punch grafting . In the recipient site, cobblestone appearance was the predominant complication in punch grafting and hyperpigmentation and thickening of grafts were common in suction blister grafting. Blister grafing is a safe, easy, and inexpensive method, with very good success rates. Repigmentation is faster and the color and texture match is better than punch grafting, ultra thin skin grafting and tattooing.